One of my absolute favorite meals to make myself is refried black bean tacos. I have probably eaten this meal more than any other in my lifetime. I ate it a lot while I lived alone, but I still do most nights when Nate isn’t home for dinner. I love cooking, but this simply not cooking – it was heating up canned beans and adding fresh veggies and putting it all in a tortilla. 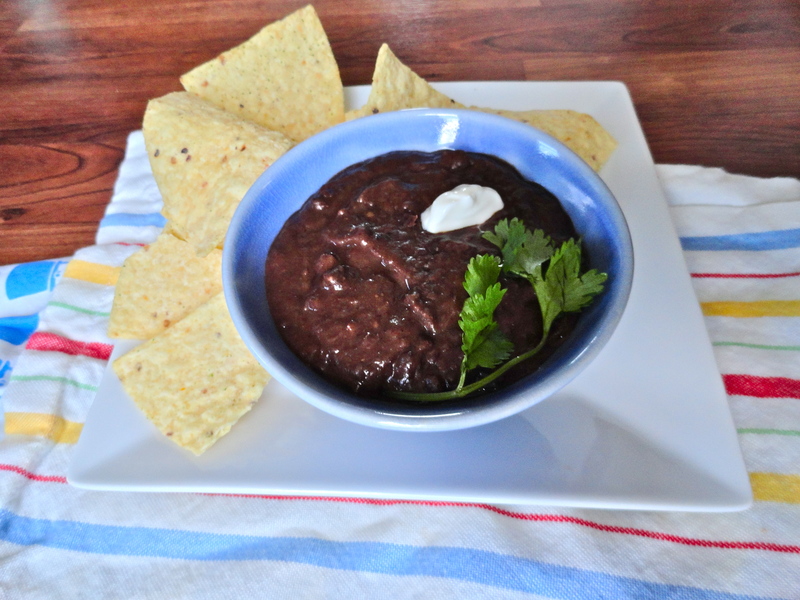 Of course, there are several ways to eat black beans, but that is just one of my favorites. Many people like them just along side of their dishes, sometimes served with rice. 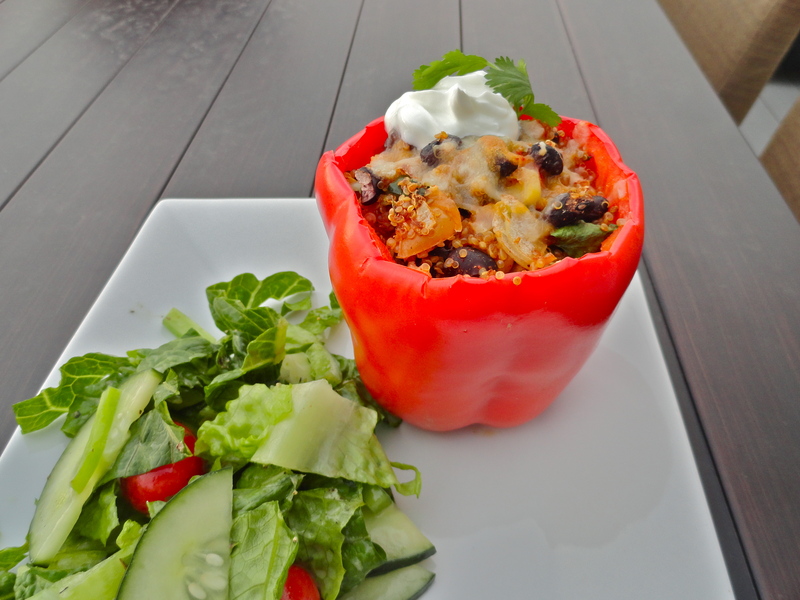 They are always great to throw into a taco, burrito or salad to add protein. 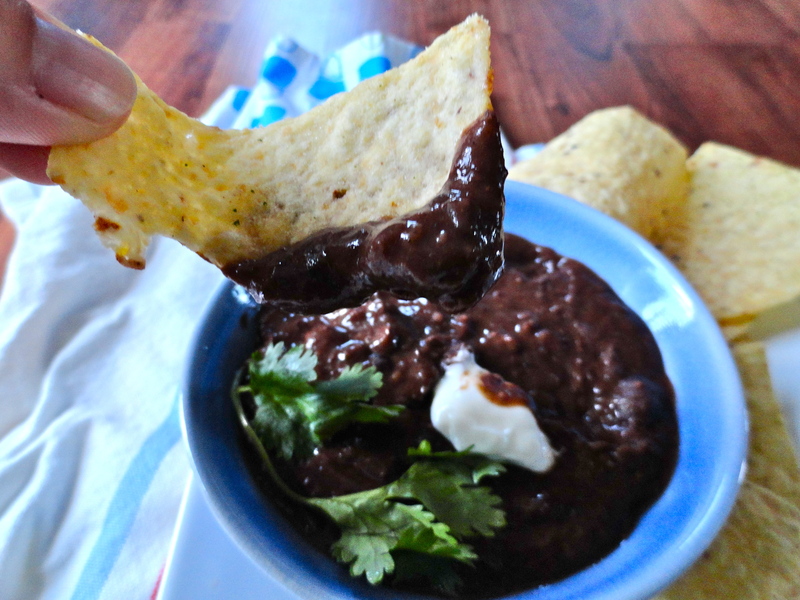 Another one of my favorites is just to use it as a dip for tortilla chips. However you eat them, this is a super recipe! 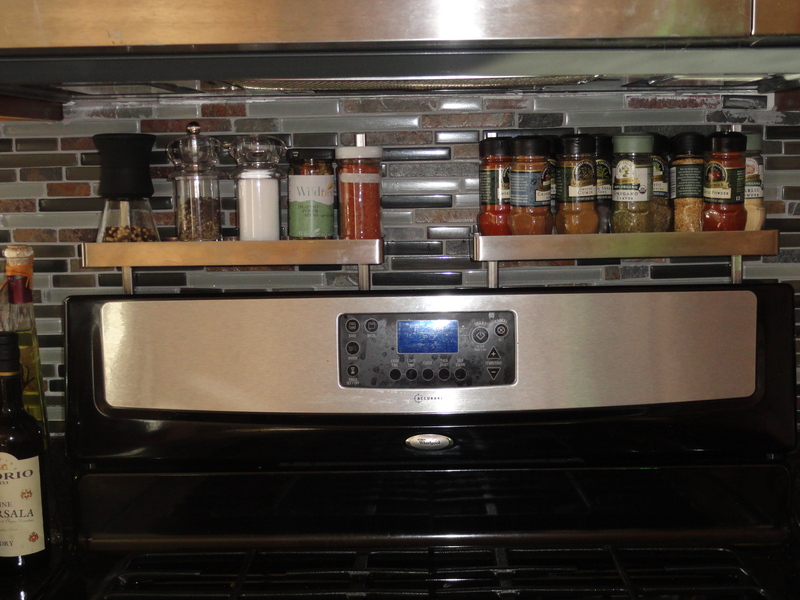 The best part is that you can control what you put in it, including the heat. 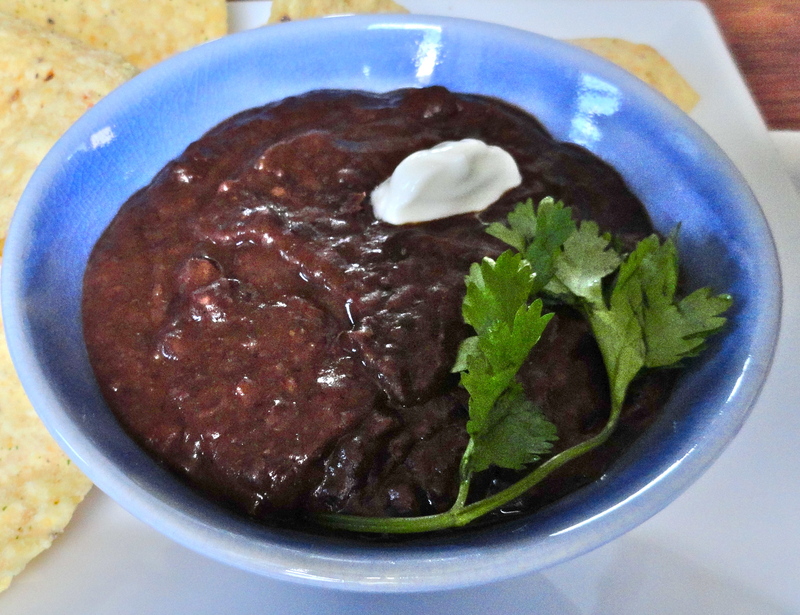 This recipe certainly makes a lot of refried beans, but don’t be scared, the freezer is your friend! I separated them into freezer bags to store for the next night I have my refried bean taco craving! These turned out great! You can control the consistency of the beans by adding more liquid if you choose, and/or blending them longer if you like them smooth. I like them slightly chunky, so I didn’t blend for very long to get the consistency I liked. However you like it, play around with the ingredients and find one that’s a perfect fit for you! 1. Combine all ingredients in a slow cooker and cook on high for 10 hours. 2. If there is a lot of liquid remaining, ladle some out and reserve. Using an immersion blender, blend until desired consistency, adding back liquid as needed/desired. I got pretty busy over the weekend and didn’t get around to Meatless Monday, but hopefully next week I’ll get there! We had a lovely weekend of family, friends, and even a little gardening. Last summer, we put a vegetable garden in the back, which I absolutely love! We also put in the foundation for a front garden, but didn’t actually get to putting plants in it. My parents have a gorgeous garden, several actually in their gigantic yard, and were kind enough to split almost anything they could and send it home with Nate and me. We ended up staying all night, sitting by the fire, playing some cards when it decided to downpour for a short time and enjoying some cocktails, so we didn’t get to planting them that day, but we got everything in the next. We are both so excited! 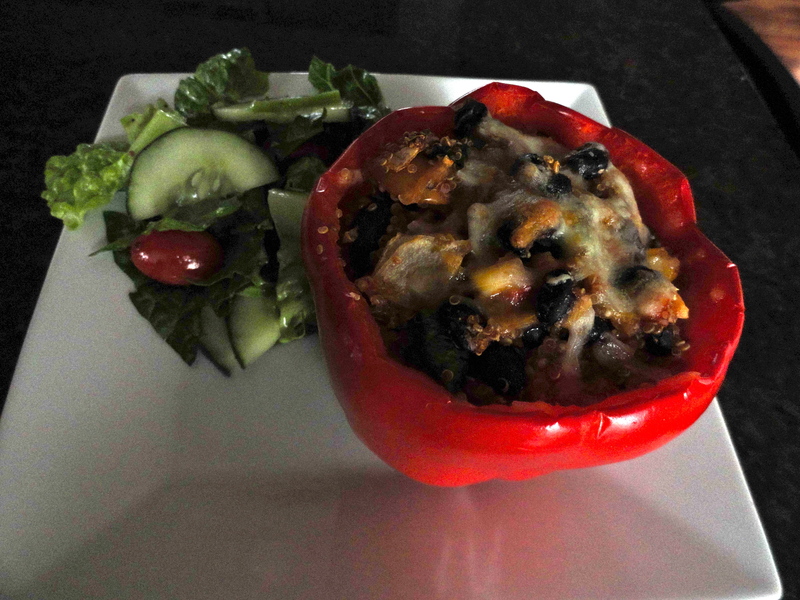 We’ve just been so busy with work, softball, gardening/yard work and other activities, that I had really let this recipe swap slip away from me. 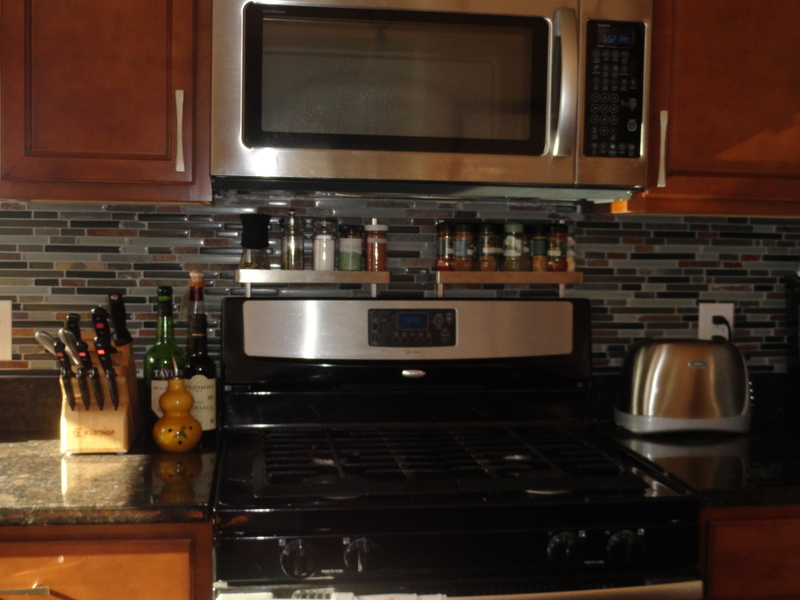 This week’s swap is Blogger Choice, hosted by Sarah at Taste of Home Cooking. I got another blog that I hadn’t visited in the past. I love when that happens! I was assigned Ashley’s blog, Cheese Curd in Paradise. Thankfully, it’s not a blog all about cheese curds or I would have been in trouble ;P When we do bloggers choice, I try not to go directly to the chicken category and sift through the other categories that interest me, but nothing really grabbed me, so I visited my old standby, chicken. As soon as I saw the beergarita tacos, I thought it’d be a perfect fit. 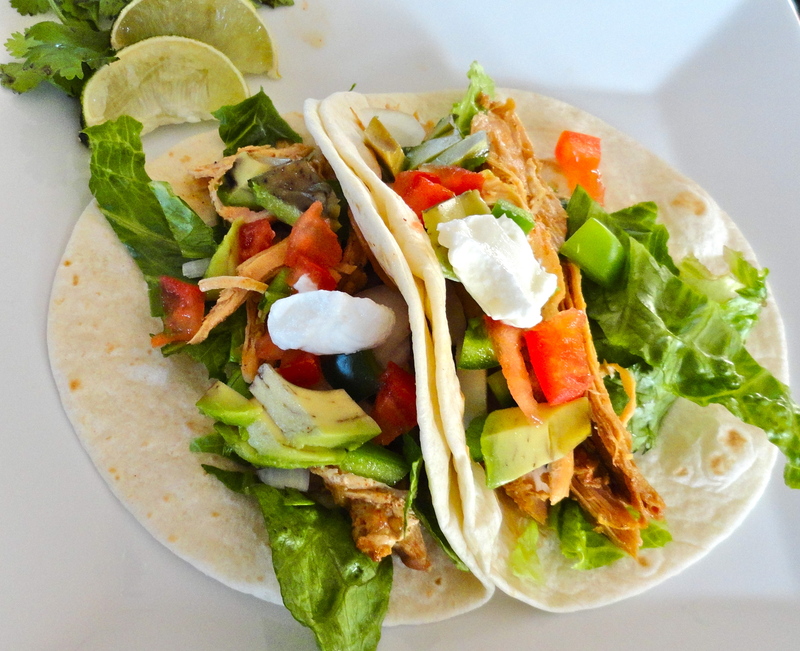 It’s made in the slow cooker, perfect for our suddenly overwhelmingly busy schedules, we love chicken tacos, beer, and margaritas. I make a margarita chicken (have yet to blog it) on the grill that is so flavorful and juicy, I figured this would be somewhat similar, and probably just as delicious. Even better, there is basically two steps. Dump ingredients in the slow cooker. Shred. Done and done. The chicken turned out really flavorful. I combined the ingredients, minus the chicken the night previous, so all I had to do was put the chicken in the slow cooker, pour the mixture over it in the morning and turn it on. Bam! But, the mixture didn’t smell so good in the morning, so I was slightly concerned. However, they did turn out really juicy and lovely. Nate and I both had two, and we made a salad from the leftovers for lunch today. 1. Place chicken into slow cooker (using frozen breasts is fine, and actually recommended for long cooking times). Mix all remaining ingredients together in a medium bowl and pour over chicken. Cook on low for approximately 8 hours, or until chicken is easily shredded with a fork. Shred chicken breasts between two forks (I just leave it in the slow cooker and do this, but if it’s easier or you’d rather, go ahead and remove the chicken, shred it, and return to slow cooker). Continue to cook until heated through. Serve on tortillas and garnish as desired. 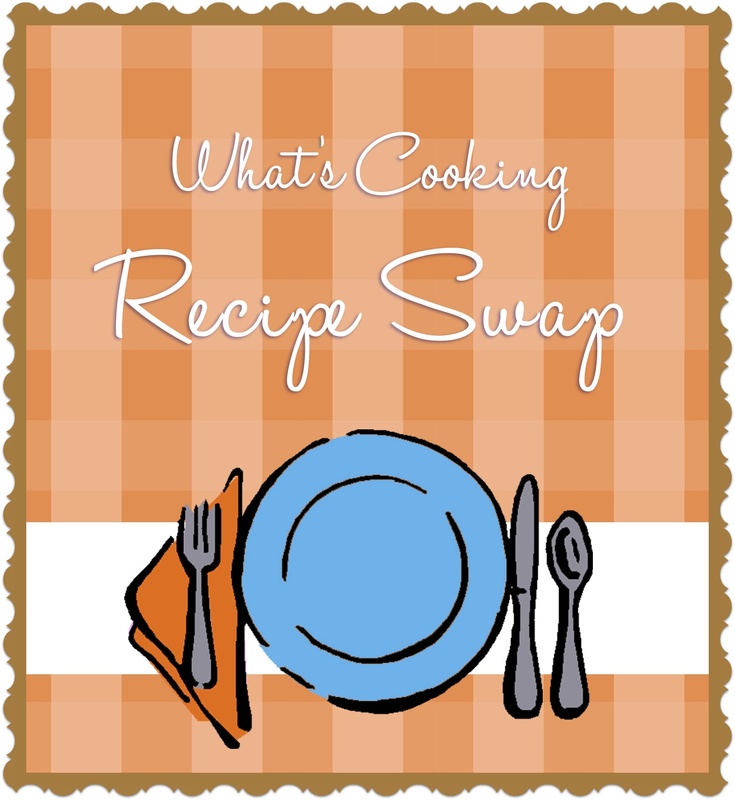 See what the others ladies cooked up for the Bloggers Choice Swap! I saw this recipe on my cooking board a few weeks ago, posted by Jaida at Sweet Beginnings, and immediately ran out to get the ingredients. I think the only things I didn’t already have was salsa verde (kind of important) and evaporated milk. I planned to make it right away, but for some reason, something has continually come up, preventing me from making this seemingly delicious dinner. Finally, I had the time to make it on Sunday, and it was so amazing! Nate and I both loved it. 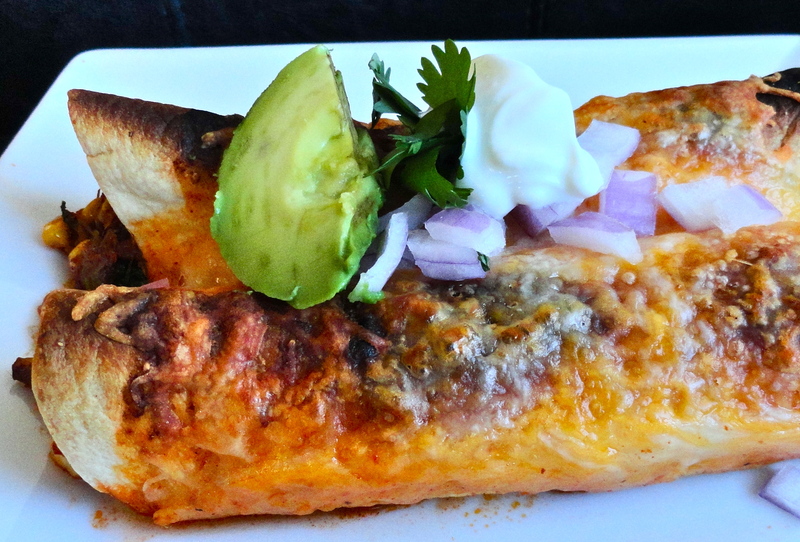 It’s got all the qualities of comfort food, but also incorporates Mexican flavors (which I absolutely love!). 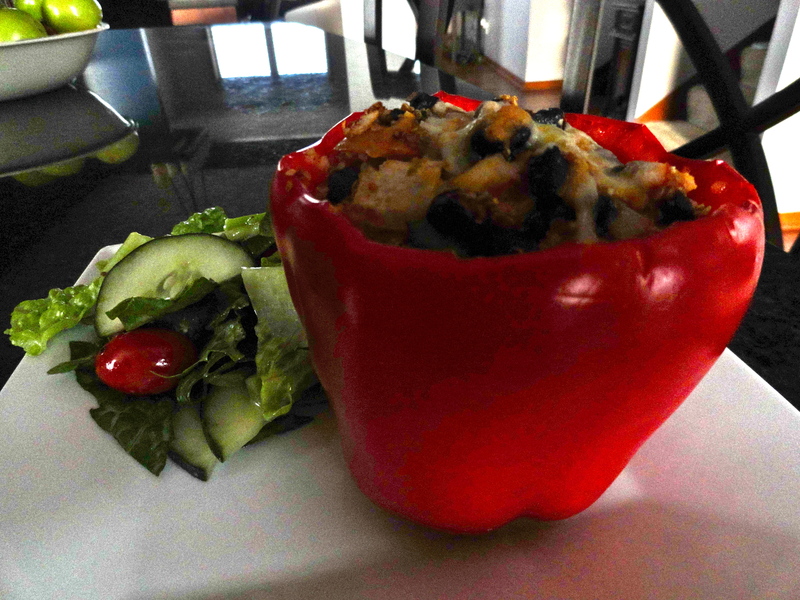 I made some very minor changes and added some corn, bell pepper and black beans for a little more substance. The only thing I would change in the future would be to add a touch more broth (of course this is probably because I added more ingredients, so it seemed a little dry). The recipe calls for 14 oz of chicken broth, and I had a box of it in my fridge. When measuring it out, I had exactly 14 oz left. Weird! So, I would have added more had I had more broth, but I didn’t. We both still loved every last bite and are looking forward to leftovers tonight for dinner! The pictures really don’t do it justice, but trust me. 1. In a large oven safe pot, heat olive oil over medium heat. Add onions and peppers and cook until soft, about 5-7 minutes. Add garlic and cook until it becomes fragrant, about 1 minute. 2. Whisk in flour to form a very dry paste. Add broth, salsa verde and evaporated milk. Bring to a boil and whisk continuously until the mixture forms a sauce. Reduce heat to low and add black beans, corn, chicken, cilantro and scallions. Salt and pepper to taste. Remove from heat and cover to keep warm. 3. Heat oven to 400 degrees. 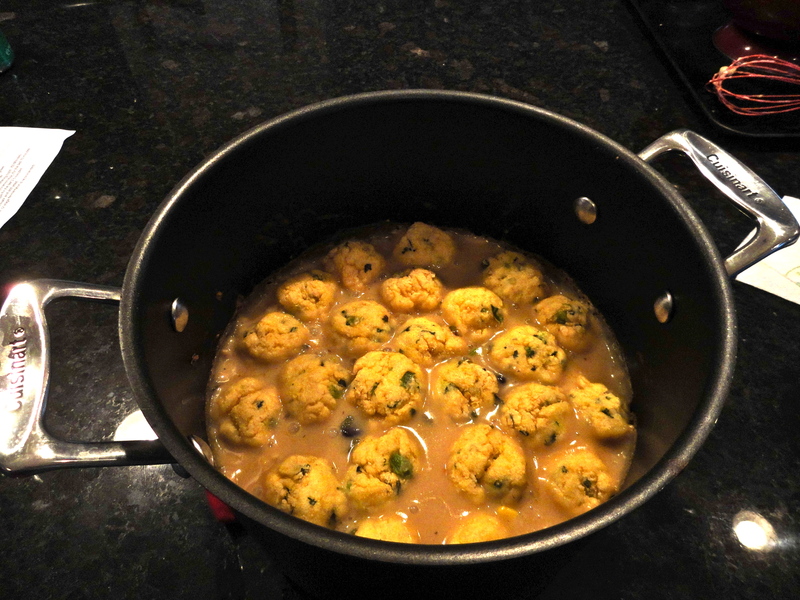 To make the dumplings, heat the milk and butter in a small sauce pan over low heat until steaming and butter is melted. 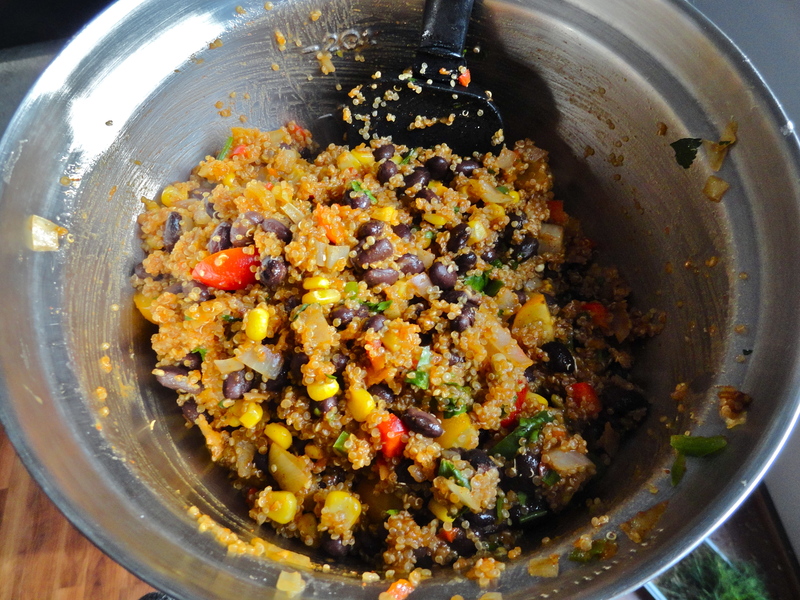 In a medium bowl, mix flour, cornmeal, baking powder, salt, cilantro and scallions with a fork. Stir milk and butter into flour mixture to form a thick, firm dough. 4. 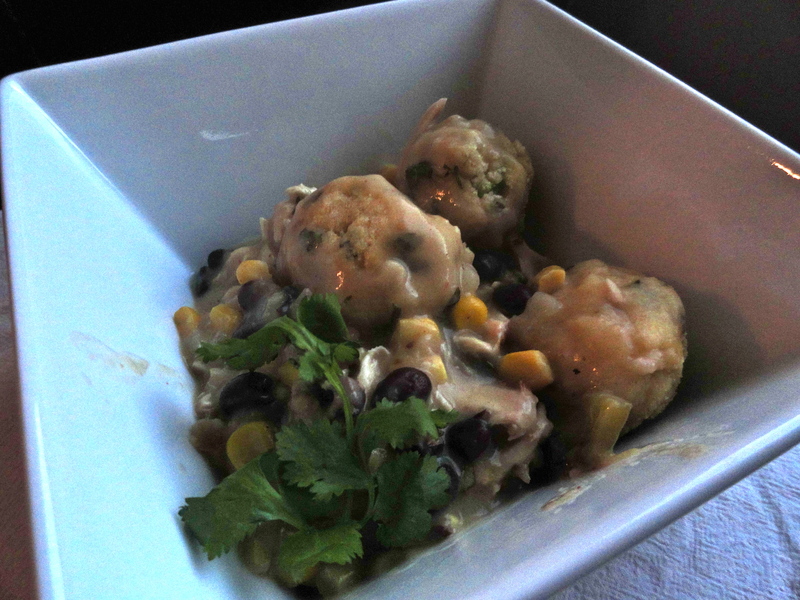 Scoop uniform dough balls and drop into chicken mixture. A cookie scoop will work well. If you don’t have one like me, just use your hands to roll small balls with the dough. 5. Return pot to a simmer over medium-high heat for 2-3 minutes. Cover and place in oven for 15-20 minutes (this will depend on how large you make your dumplings). Remove from oven, scoop into shallow bowls and serve. I love Mexican food! 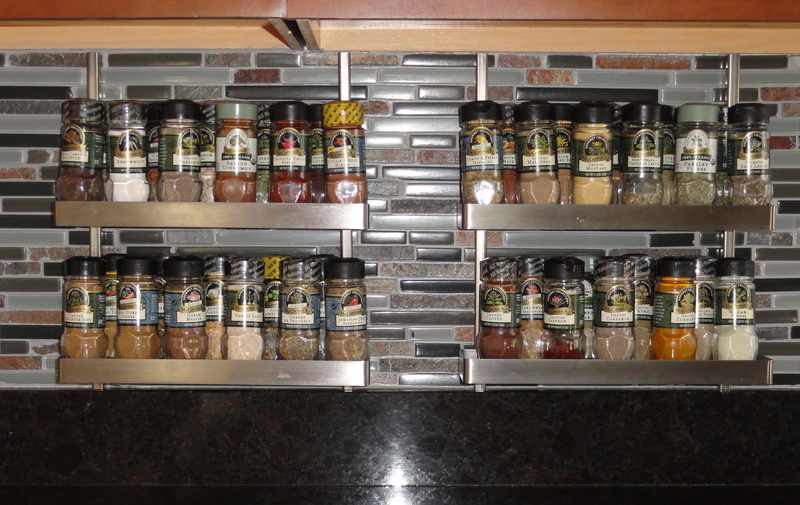 Chili powder, cumin and red pepper are some of my absolute favorite seasonings. I love onions, peppers, cilantro and pretty much anything spicy, and the proteins are pretty much interchangable; chicken, beef, shrimp, pork and beans are my usual suspects. Yum! 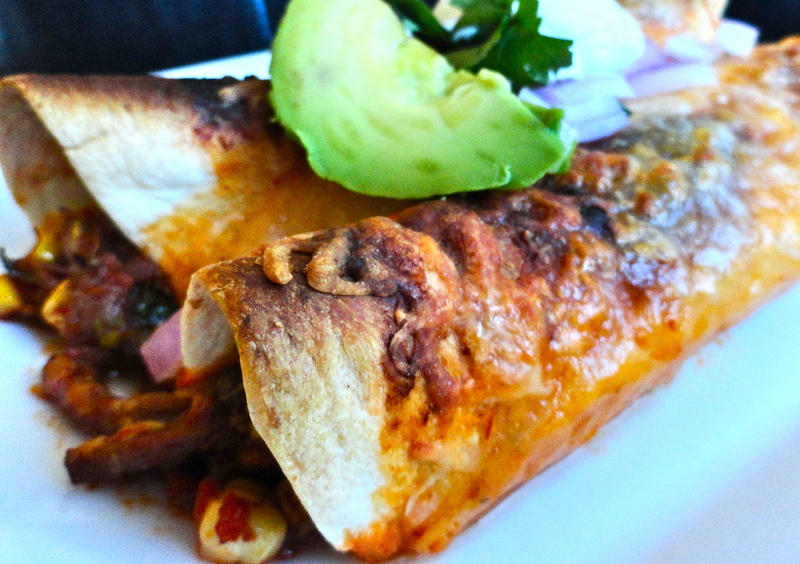 I never order enchiladas in a restaraunt because the filling is generally pre-made with cheese in it. 😦 But, I decided it wouldn’t be too difficult to try it out, making mine without cheese, of course, but still adding it to the top and inside of Nate’s. Normally, I would have used chicken, but I had shredded beef leftover in my freezer (from slow cooker french dip sandwiches) that I wanted to use up. I thawed it and drained the juices, added to my enchilada sauce base vegetables, along with some sauce, and went from there. I also had corn on the cob that needed to be used, so I roasted it on the grill, and added it to my filling. Great addition! These were really, really, very yummy, and bursting with flavors! I can’t imagine how much better they would be if I had used chicken and cooked it in the enchilada sauce base, only for better seasoning. Next time. It’s a good thing we liked these, because we’ve got a ton of leftover filling, and had them the next day for the Vikings home opener (SKOL! ), and made enough to have leftovers for lunch on Monday. NOTE: If using my enchilada sauce recipe, skip to step 2 and use the vegetables from the sauce base instead of cooking more in step one. If using canned enchilada sauce, start with step 1. 1. Preheat broiler. In a large skillet, heat olive oil over medium heat. Add onions, jalapenos, chili powder and cumin. Saute until soft, about 8 minutes. Add garlic and chopped tomato and cook for another 2 minutes. Season with salt and pepper to taste. 2. In a large bowl, combine cooked vegetables, roasted corn, shredded beef, and 1 cup enchilada sauce (enough to coat the mixture, but not so it’s soggy). Mix in 1 cup cilantro and 1 cup shredded cheese. 3. 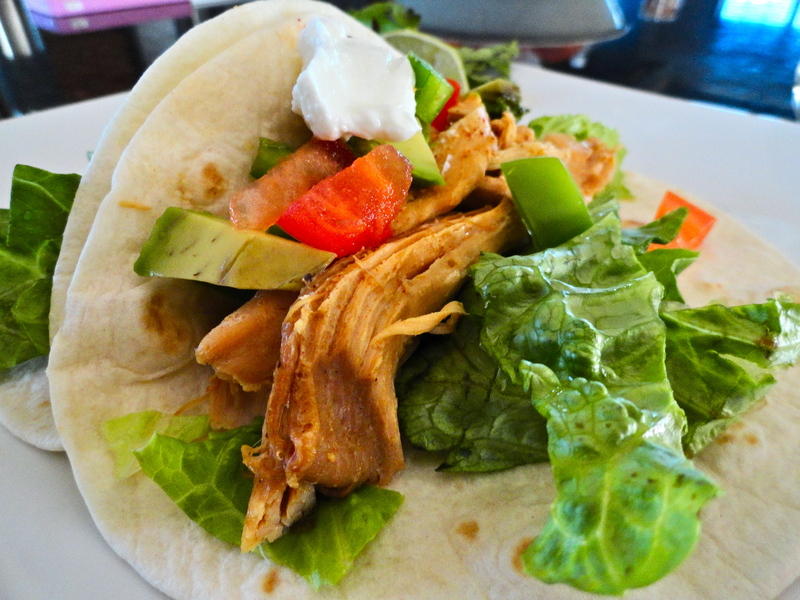 Place tortillas on plate and cover with damp paper towel. Microwave for 30 seconds. 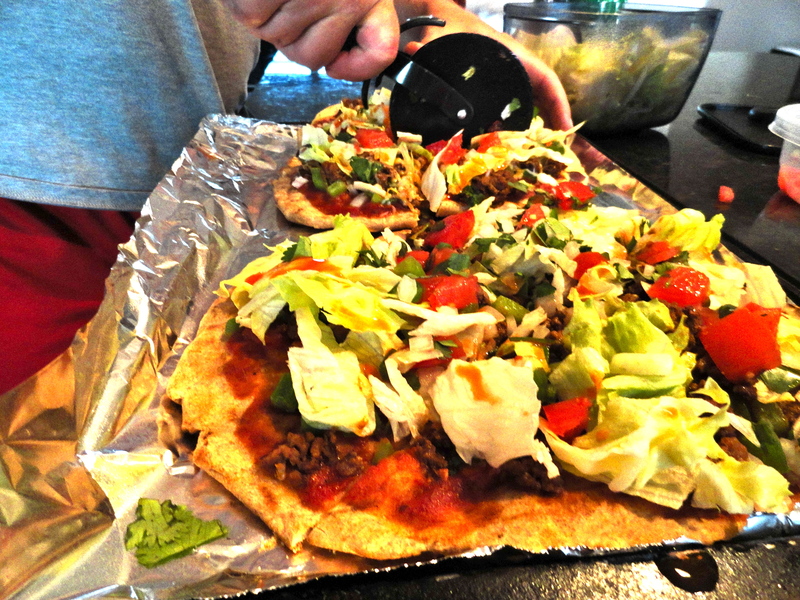 Fill tortillas with 1/3 cup meat mixture, roll tightly and place in greased 9 x 13″ baking dish, seam side down (you should only be able to fit about 8 at a time and will need to repeat for remaining filling) and spray each with olive oil. 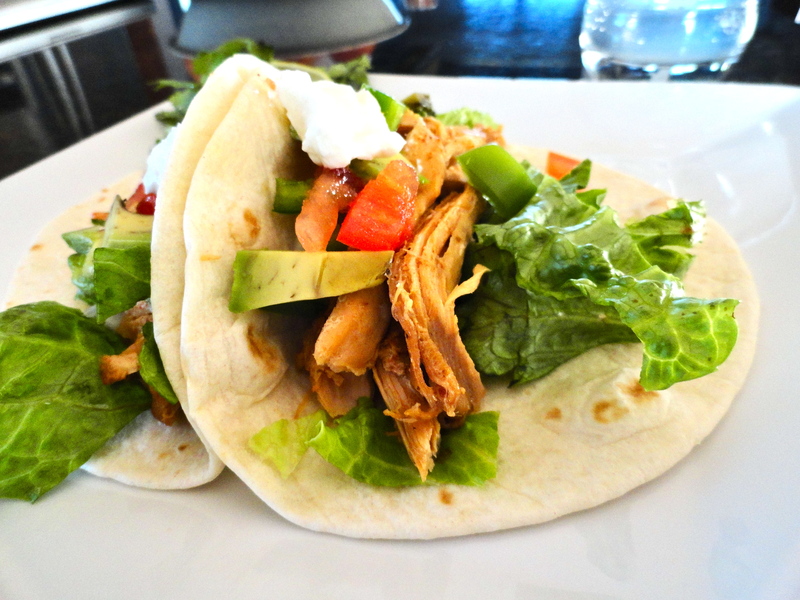 Place under broiler for 3-5 minutes, until tortillas begin to brown and crisp. 4. Remove from oven and reduce heat to 400 degrees. 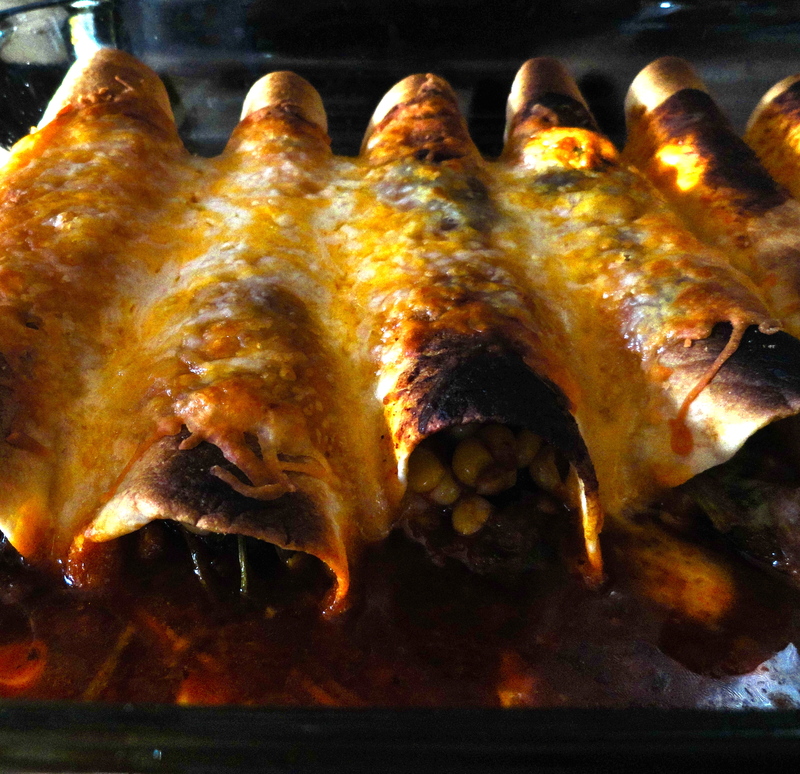 Pour enchilada sauce over tortillas and sprinkle with cheese (reserving more of each for additional enchiladas). Cover with foil and bake for 20 minutes. Remove foil and turn broiler on for 2 minutes, or until cheese browns and bubbles. 5. Garnish with cilantro, onion, sour cream and salsa as desired and serve. *To roast corn, preheat grill to high heat. Place corn in husks on grill until kernals on grill side are bright yellow, about 10-15 minutes. Turn and grill for another 10-15 minutes, until corn is cooked all the way around. Remove from grill and let cool. When cool enough to handle, remove husks and silk, stand cob on one end, and cut kernals off cob in a downward motion. Turn cob and repeat until no kernals remain. I’m not sure I could count how many times I’ve had Mexican food in the last week, mostly tacos, but I’m certainly not complaining. I think tacos are something I could eat every day for a month, maybe longer. I made about 4 lbs of taco meat for one of our fantasy football draft parties, and I was happy (and kind of surprised) to see that we put down more than half. But, of course that left me with about a pound of leftover beef. I normally use turkey or chicken to make tacos, but seeing as though I was feeding a bunch of men, I thought beef would be best. Plus, it was cheaper – on sale even! Of course it still tastes delicious, but I prefer turkey or chicken as it’s a bit leaner. 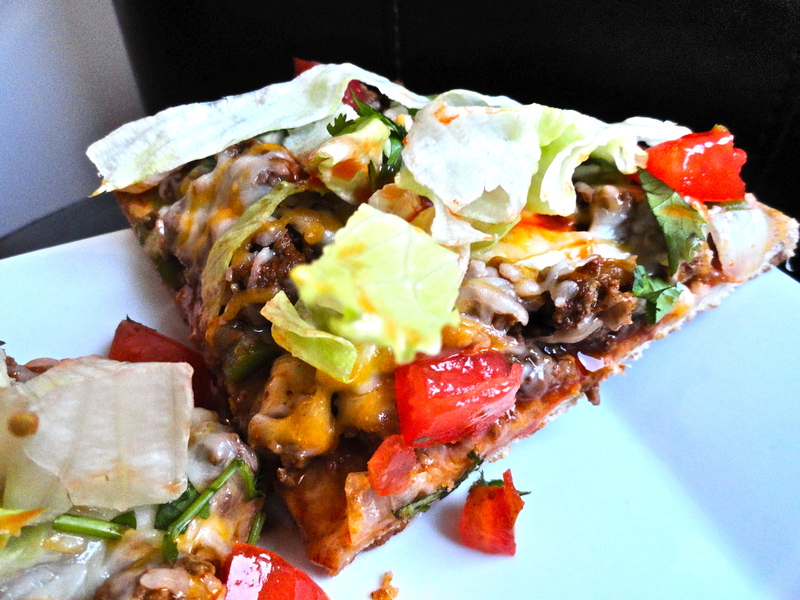 I had been craving taco pizza for a few weeks, so this was my perfect chance to make it! I threw together a whole wheat dough, minus the herbs, threw it on the grill with my taco ingredients, and viola! After Nate took his first two bites, he said, “I could eat this until I throw up!” I said, “Please don’t, ” to which he responded, “It’s a compliment, honey!” And so it was, and I knew it, but it was a pretty funny way to give someone a compliment, I thought. Anyway, the point is that this pizza was super good. My whole wheat crust couldn’t have turned out any more perfect. 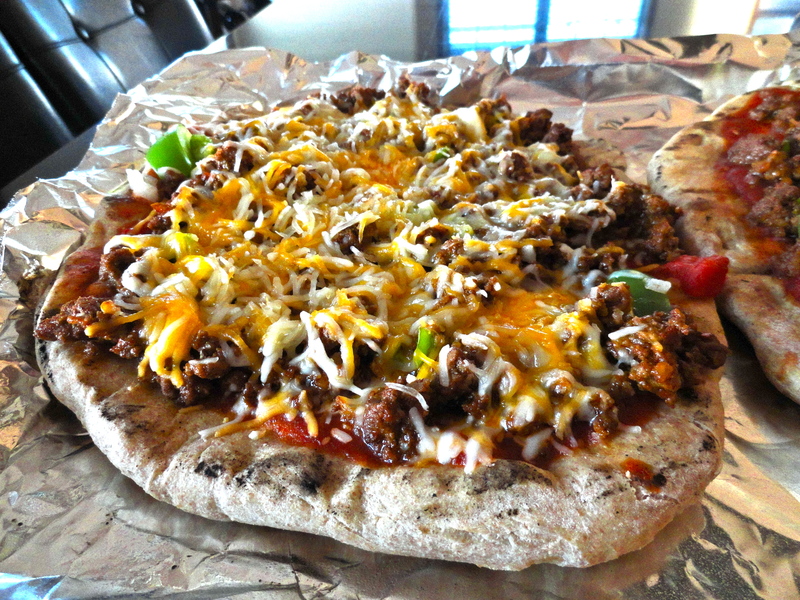 It was crisp enough to hold all the taco ingredients, and believe me, Nate’s pizza was packed full of meat and cheese, but still soft and chewy inside. I’m so happy to have leftovers, and will continue my streak of eating “Mexican” food. They have pizza, right? 1. Cook crust to specified instructions. 2. Combine marinara and hot sauce. Spread 1/4 cup marinara/hot sauce mixture on each crust. 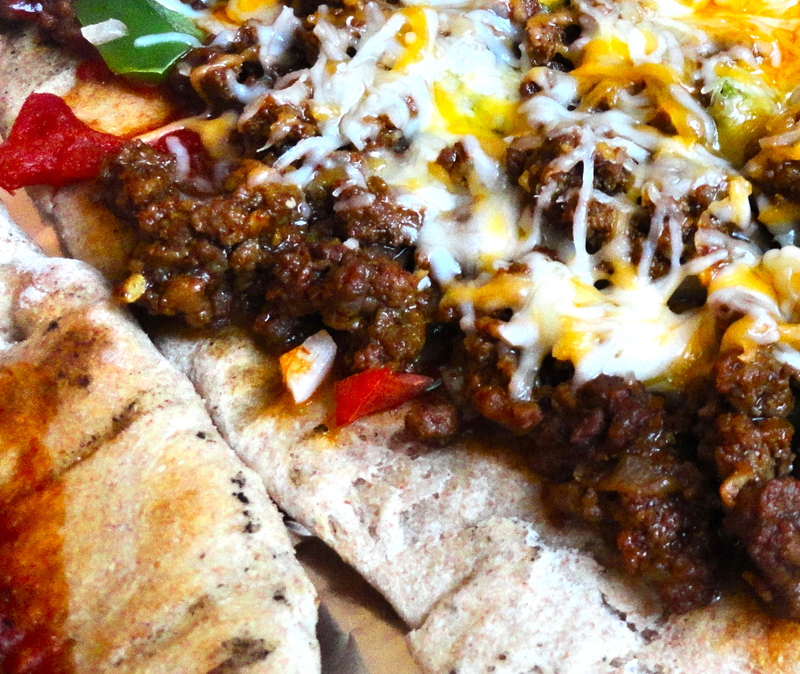 Top each with 1/2 cup taco meat, bell peppers, jalapenos (if desired), and 1/2 cup shredded cheese. Heat until cheese is melted and crust is browned and crisp. Remove from grill/oven. 3. 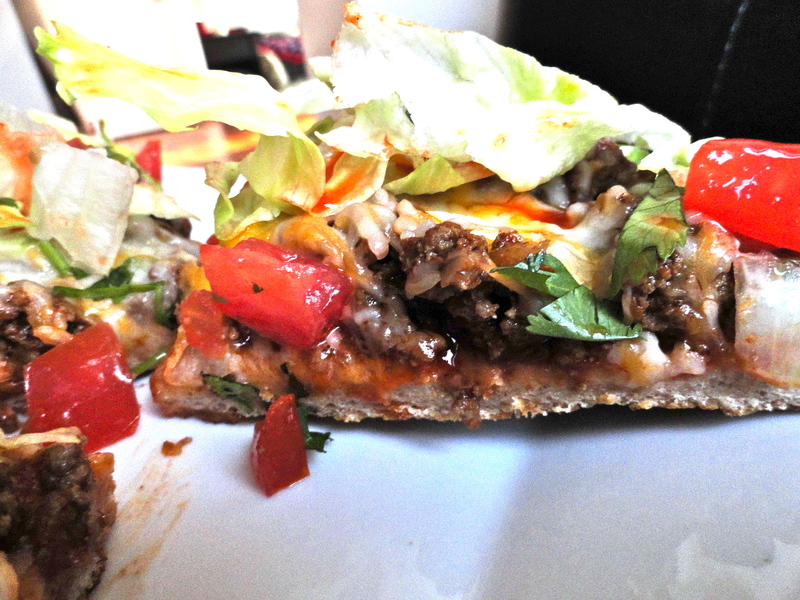 Top pizza with lettuce, onion, tomato and cilantro. Slice and garnish with salsa, sour cream, and hot sauce as desired. *I make my own taco seasoning using a blend of chili powder, garlic powder, onion powder, cumin, cayenne pepper, paprika, oregano, black pepper and salt. You can certainly use the pre-packaged kind if you like. This recipe sounded exactly like a salad I would order in a restaurant (and why in the world does a salad almost always taste better in a restaurant than it does when you make it at home? ), so I knew this was exactly what I wanted to make. Super simple, everyday ingredients (love that part! ), and quick to prepare. What could be better? Oh, and I have to include a shout out to my good friend, Nick. 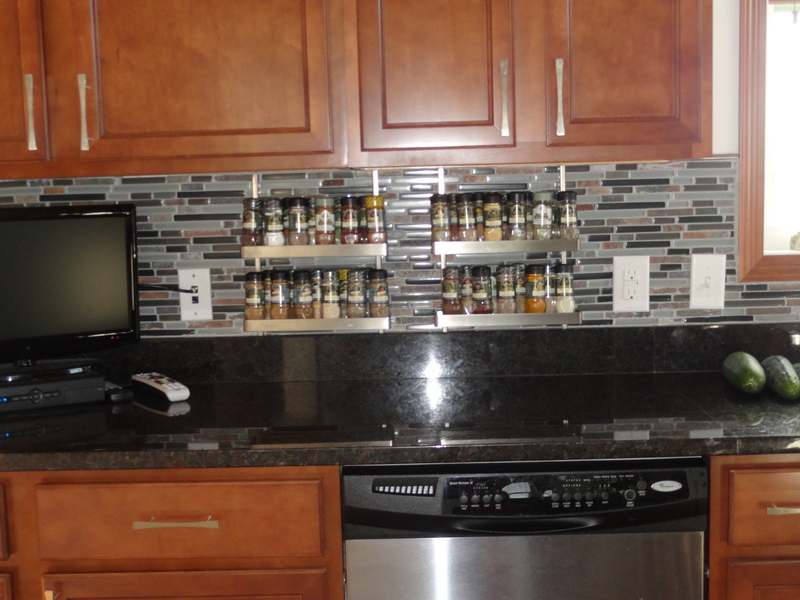 He custom-made me some spice racks (I have far too many spices), and after almost a year of bugging him, he finally hung them for me a few weekends ago. Back to the salad…It was textbook out of a restaurant – in an awesome way! It was probably even better! I didn’t have any red peppers on hand, so I used tomatoes for the color instead. To make up for the flavor of the missing red pepper, I used red onion along with a little green onion (I had them both in my refrigerator). I forgot the corn…eh. Certainly wouldn’t have hurt, but I remembered when I went back to blog the recipe. Oh well. I also forgot the cheese for Nate, and he didn’t even notice because it was a such a good salad, and one he’d like to have again on many occasions. 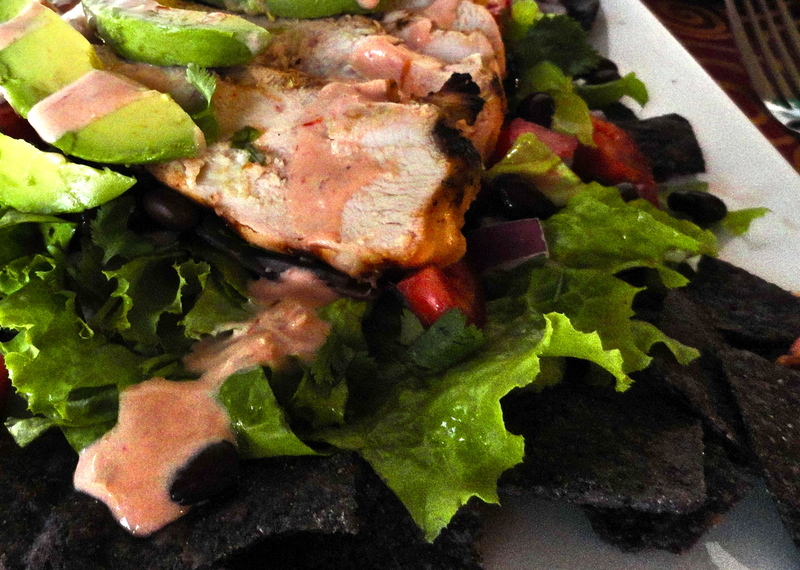 He even ate up all the extra chicken, veggies, and dressing with some blue corn tortilla chips the same night. Lettuce..who needs it? Oh, and the dressing. Yum! I love the combination of sour cream (I used Greek yogurt) and salsa, but the addition of ranch and lime juice really gave it that restaurant flavor that can be hard to find at home. So delicious! Thank you, Heather! 1. In a small bowl, combine lime juice, orange juice, tequilla, olive oil, cumin, oregano, cayenne pepper, paprika, garlic and salt and pepper. Place chicken in zip-top bag and cover with marinade. Refrigerate and let chicken marinate for 1-4 hours. 2. Combine all ingredients for dressing. Refrigerate until ready to use. 3. Heat grill to medium high heat. Remove chicken from marinade. Grill chicken until cooked through, about 5 minutes on each side. Let cool, then slice into strips. 4. 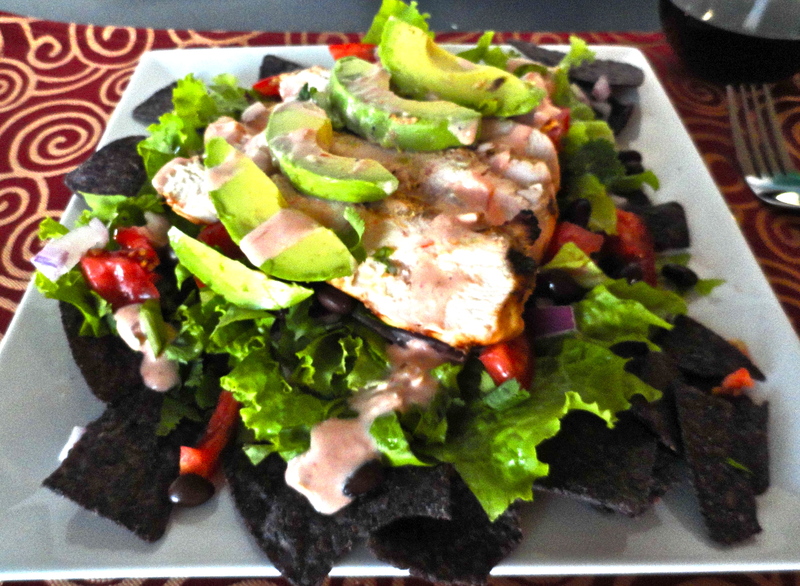 Place a layer of tortilla chips on plates, then top with lettuce cilantro, tomatoes, avocados, black beans, onions, cheese, and chicken strips. Finish with dressing as desired.